A filmmaker with a mid-life crisis meets a mysterious young girl who reminds him of his first girlfriend at first, and subsequently, of every woman in his life. A bold and original take on man-woman relationships, X: Past Is Present is a one-of-its-kind feature where 11 Indian filmmakers with strikingly different cinematic styles have come together to make different parts of the same film. One story told through the eyes of 11 unique storytellers. Made on the typical lines of an international film festival genre, the film takes you on a psychotic trip into the mind of a film director. What all starts on that one night unravels the different layers of the mind-set of the central character. While only niche audiences would relate to this subject, the effort is commendable. Getting 11 film directors to show different perspectives and blending it into an engrossing thriller is worth watching. Similar directorial touches in most sequences makes it slightly monotonous. There are loads of over-the-shoulder scenes coupled with static one-frame camera shots with voice-overs. However each director has shown their distinctive style of shot composition and highlighting the actors’ histrionics. Rajat Kapoor balances his multi-layered role as the film director who has skeletons in his cupboard. Almost all the female leads like Radhika Apte, Swara Bhaskar, Bidita Bag, Gabriella come out with shining performances. The Huma Qureshi episode is quite a let-down in terms of content. Anshuman Jha lacks the appeal to hold the character of the younger version film director. The film could get critical acclaim but the box-office numbers could be a disappointment. Only elite audiences would watch it. This film is a must watch for budding film makers. Sreekar Prasad, Vijay Prabakaran, Vijay Venkataramanan, Biplab Goswami, Gairik Sarkar, Dhritiman Das, Shreyas Beltangdy, Ankit Srivastava, Ninaad Khanolkar. This entry was posted in Trending News and tagged Abhinav Shiv Tiwari, Aditi Chengappa, Anshuman Jha, Anu Menon, Bidita Bag, Bollywood film review - X: Past is Present A psychotic trip! Rating 2.5, Gabriella Schmidt, Hemant Gaba, Huma Qureshi, Nalan Kumarasamy, Neha Mahajan, Parno Mitra, Pia Bajpai, Pooja Ruparel, Pratim D Gupta, Q, Radhika Apte, Raja Sen, rajat kapoor, Rajshree Ojha, Richa Shukla, Rii Sen, Sandeep Mohan, Sudhish Kamath, Suparn Verma, Swara Bhaskar. 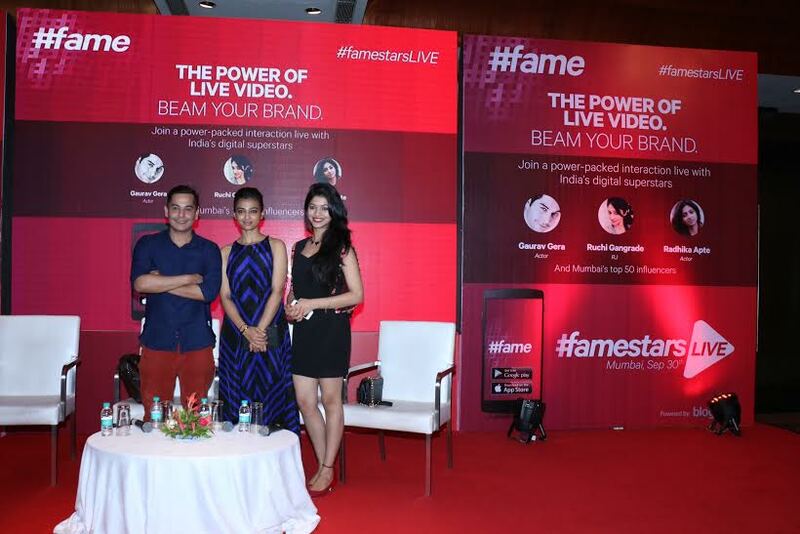 After the success of the Delhi edition of #famestarsLive, #fame- India’s No. 1 Live Video entertainment app launched its Mumbai edition. 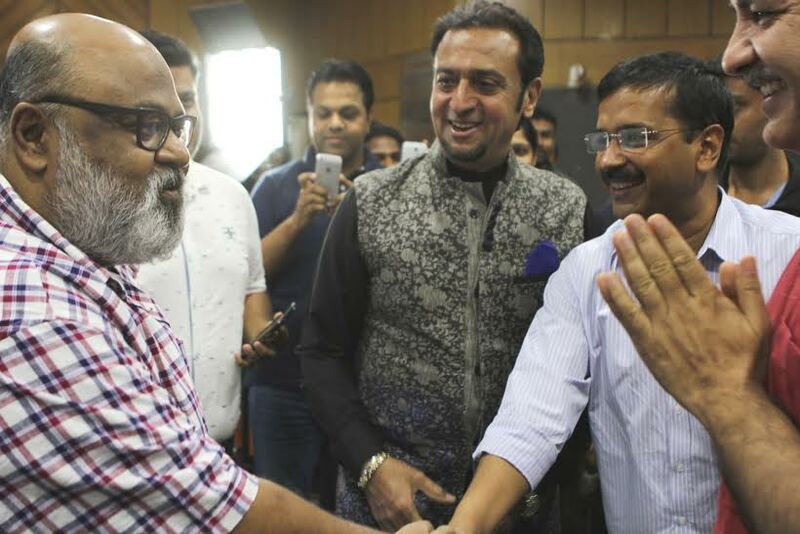 The first meet-up held in Delhi spoke about how live videos are the next big platform in the digital medium. The Mumbai edition highlighted the growing power of LIVE video and how celebs & influencers are using LIVE video streaming to build their brands. The interactive session had three panelists – Indian film and stage actress Radhika Apte, the internet star Gaurav Gera aka Chutki and the popular RJ from Fever 104, Ruchi along with 60 leading influencers across various verticals of the social media fraternity. The event was hosted by Ankit Vengurlekar, VP – Content, #fame. With over one million downloads, over 21,000 unique Performers and more than 46,000+ live sessions of programming, #fame has emerged as India’s No.1 live video entertainment app. This entry was posted in Trending News and tagged #fame launches the Mumbai edition #famestars Live, Gaurav Gera, Radhika Apte.